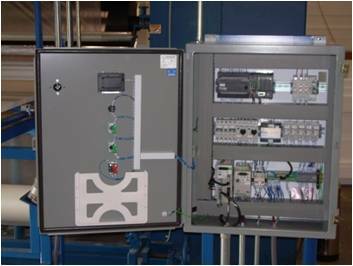 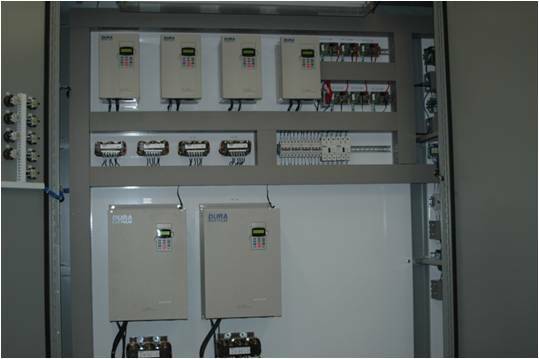 Energy saving variable speed drive systems for fans and pumps. 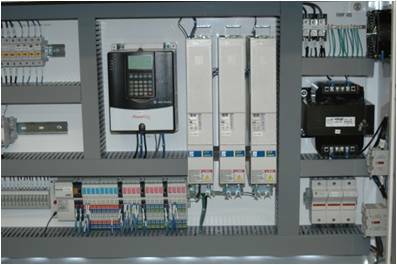 Replace multi speed motor starter systems with the correct variable frequency drive system to allow smooth speed transitions, which can extend machine life and minimize downtime. 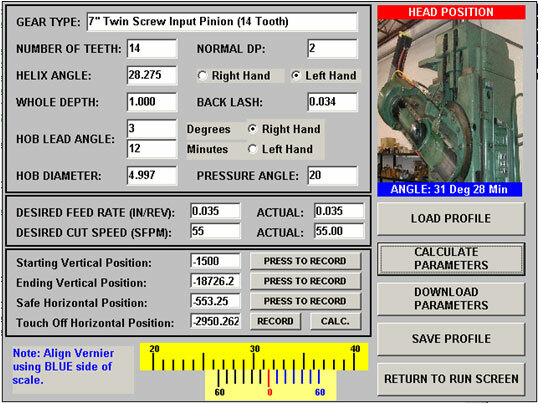 Screen from old gear hobbing machine after replacing the manual change gear drive train with a new 4 axis cnc servo system. 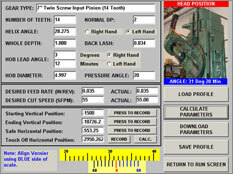 The new system utilized a touch screen pc connected to a motion controller to automatically calculate setup parameters and generate cutting path.